The current situation in Maldives makes it imperative to amend a number of legislations, says Fonadhoo MP Abdul Raheem Abdulla (Adhurey), deputy leader of ruling Progressive Party of Maldives (PPM). 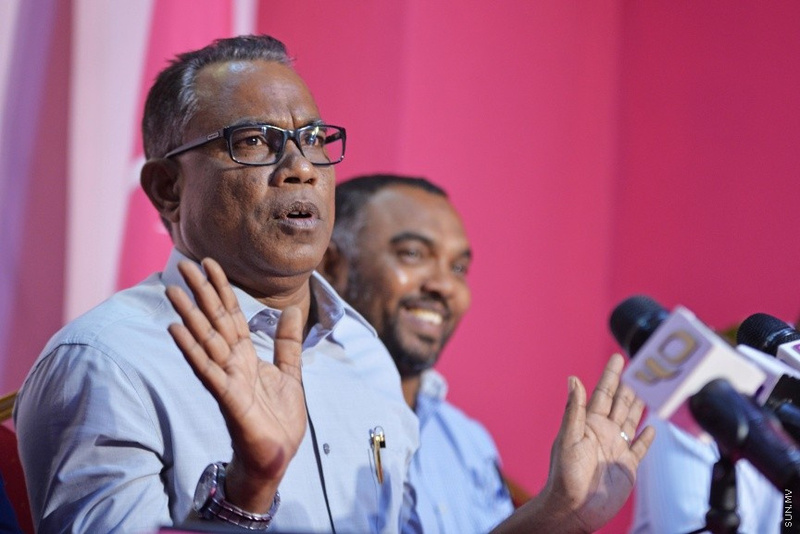 Speaking at the debate on his proposed amendment to the Judges Act at the People’s Majlis sitting this Monday morning, Abdul Raheem said the PPM’s parliamentary group wanted to cut short the debate and send the Bill to the Committee for deliberation as soon as possible. Abdul Raheem said the pace of development and the course Maldives is on at the moment made it imperative to amend multiple legislations. He said this was the most opportune time to amend the Judges Act. “Considering the current situation, what jumps out is that the two top judges, working at the highest court in the Maldivian judiciary are suspected of being behind the recent attempt to overthrow the legitimate administration of Maldives,” said Abdul Raheem, referring to Chief Justice Abdulla Saeed and Supreme Court Judge Ali Hameed. He said the Judges Act protected the two judges from persecution. He said the attempted coup stemming from the Maldivian judiciary should be a matter of great concern to the people. “The power of the State is divided among three branches. This separation of power means no separate branch should have the power to immobilize the State,” said Abdul Raheem. He said the Supreme Court order on February 1 was designed specifically to immobilize the State. Abdul Raheem said the February 1 court order was unconstitutional, and said no Article of the Constitution should be more powerful than the other. He said it was the responsibility of the People’s Majlis to form and reform legislation, and that no one should be allowed to criticize legislations passed by the People’s Majlis. He said that if anyone believed a legislation passed by the People’s Majlis conflicted with the Constitution, “then the Constitution shows the course to take.